It's official. Marching band season starts this month and we can't wait to see college bands back on the field and in camp over the next few weeks. The 2016 season included some amazing halftime performances, heartbreak with the deaths of multiple band members and even it's fair share of band drama. But we're no longer looking into the past. We're only looking forward and there are some new storylines and shows that we can't wait to see and discuss. Here are the 10 things we're anticipating most in the 2017 season. 1) Stanford has a Director! Mind blowing right? Yes, it's an actual adult. After suspension last season the Stanford Band made some moves in the offseason and brought in Russell Gavin from Baylor. There is not a more technologically advanced band than Western Carolina. They can also punch you in the mouth with their big sound and fierce formations, but their integration of sound from an on field dj/sound engineer is what really has us intrigued. What will they come up with next? The 2017 show is titled “Take Note!”. From their press release: "The title serves as a “play on words” referencing the numerous ways we communicate through the universal language of music. 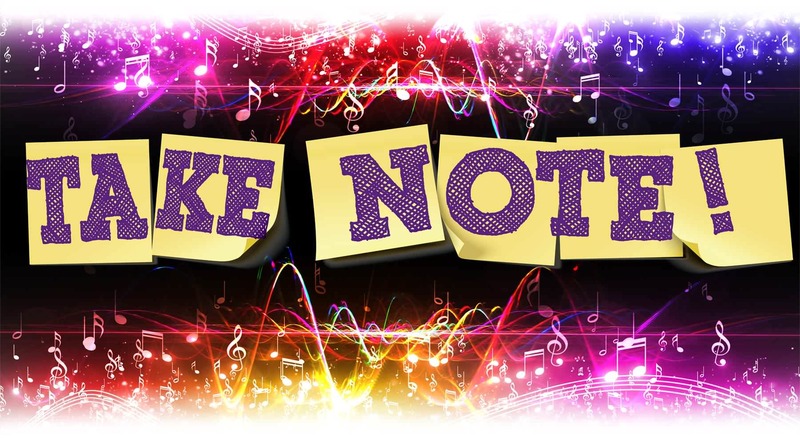 Our audience will experience “notes” through music, handwriting, digital voice recognition, and the memories that are created in a “note” from that special someone. This production will include music for EVERYONE in our audience as well as “noteworthy” moments that will be truly unforgettable. Coming to a stadium near you in the fall of 2017"
We can't wait to see what they do. Many bands have announced where they will be travelling early this year and we're already salivating at the match-ups. In week one/two we are going to get Houton at UTSA, Temple at Notre Dame, Michigan and Florida in Dallas, Ohio State at Indiana, West Virginia and Virginia Tech in Maryland, Tennessee and Georgia Tech in Atlanta, Alabama and Florida State in Atlanta just to name a few. The opening big games have created some bowl like opportunities for bands. Typically bands shy away from travelling for the first game as pregame and halftime are still being fine tuned, but my oh my are we excited about these early match-ups. The rest of the season is going to be pure FIRE. Pitt Band heads to Penn State in a monster game for those two schools in early September. Cal will head to Washington in early October for a huge Pac 12 band match-up. Oklahoma, Illinois and Penn State both will all hit the road and perform at Ohio State. A big one in early September is Auburn at Clemson. Holy Halftime! Arkansas and Texas A&M will meet in Dallas as usual while the Texas bands in the Big12 will do their usual rotation of visits to each other. USC, NC State, Miami of OH, UGA and Navy will all visit Notre Dame in some capacity while Notre Dame will head up to Michigan State. The Jacksonville State Marching Southerners are set to take over Atlanta when they visit Georgia Tech. So many other big band match-ups coming this year. These are just a few that we're keeping an eye on. If you're wondering what game to go to this season, try to go to the one with a visiting band! We've seen LSU's unis...in person. Big change? No. But for the first time in a while the Golden Band from Tiger Land is getting some updates. We have been sworn to secrecy on what they look like, but we can say that we like the updates. Last year we were able to visit Florida State during their costume show featuring the music from the Broadway show "Grease". This year they are celebrating the Wizarding World. Based on what they did last year we can only imagine how wild the costumes will be this year. This show concept is one of our favorites and the students completely buy in. Last season we were blown away by West Chester University, North Alabama, Texas A&M Commerce and Jacksonville State University. With DCI corps taking their performances up a notch this summer we're wondering what we will see trickle down into the college band ranks and onto the field. We have our money on West Chester being the one to really try to be innovative here. Keep an eye on them this fall. Hoping to get through a Southerners performance without crying. Easier said than done. The Marching Blazers at UAB never really went away, but their football team sure did. After a rough year away from football the Marching Blazers will once again get to showcase their abilities in their home stadium as football returns this fall. The Blazers went on some amazing band trips last year and did everything they could to keep the band program growing. Now there's new energy, new money into the football program and a great new buzz for gameday. If the team can find success then watch out because the band is going to soar right along with them. Welcome back to the field UAB! 9) Are things okay at Vanderbilt? 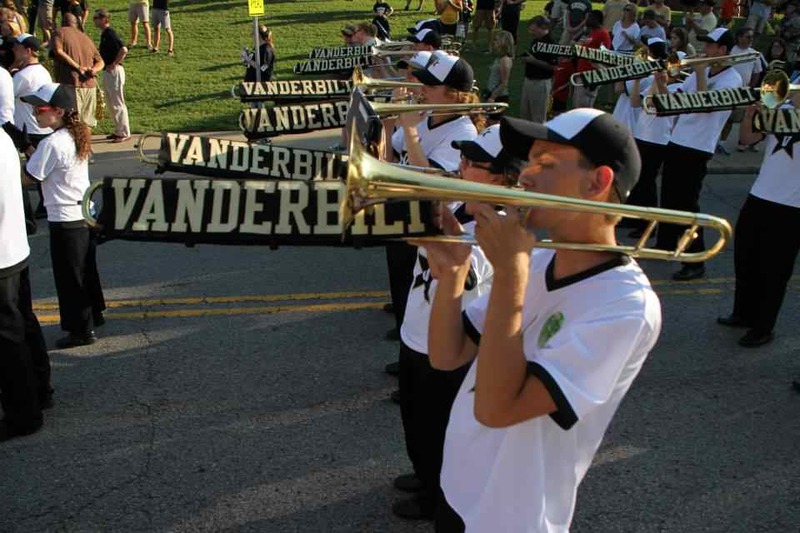 Last season we blew open the doors on the condition of the Vanderbilt band and lack of administrative support. The band was originally sidelined for their own homecoming game to allow a visiting band to perform, but thanks to enough uproar the school reversed their decision. 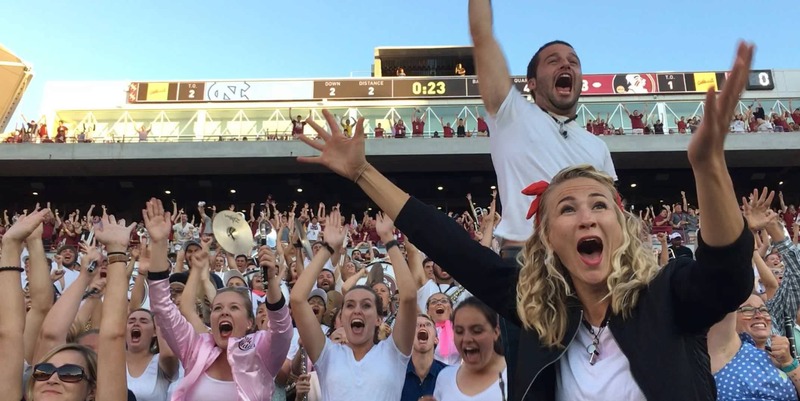 This season we're hoping for a more positive story-line for this great SEC band program. We'll be watching this one closely and will be ready to assist them in anyway we can. Hopefully, the situation last season didn't cause an exodus of band members as the football team may be quite good this year which always helps make band fun. 10) Where will the College Marching Game Day crew travel to this season? It's been a topic of discussion all off season. We've received hundreds of requests for us to attend games by band members, directors and alumni and we can't wait to hit the road. So where are we going? Well let's just say that we're hitting the road early and often this year and band match-ups are VERY attractive. Each week that we travel we'll drop a hype video letting you know where we will be going. Make sure to follow us on twitter, instagram and snapchat (@collegemarching) and LIKE us on facebook so you don't miss a moment of our coverage including facebook live streams from game day rehearsals across the country. P.S. - Don't miss the debut of our podcast coming in 2 weeks! Let the 2017 season BEGIN!